LONDON, Dec. 28 /PRNewswire/ — A child’s game will be the focal point of a serious campaign to avert a mass extinction of amphibian species when zoos around the world hold leapfrog events on Dec. 31 to usher in “the year of the frog.” Beginning at the Auckland Zoo in New Zealand, and ending at The Living Desert in Palm Desert, California, zoo visitors will form leapfrog lines and hop over each other — to stretch their legs, and to raise awareness.From one-third to one-half of the planet’s 6,000 amphibian species are in danger of extinction. As many as 165 species may already be extinct. Amphibian Ark, the World Association of Zoos and Aquariums, and the World Conservation Union (IUCN) have declared 2008 “The Year of the Frog” to raise awareness and critical funding.Countries with zoos holding New Year’s Eve leapfrog events include, by time zone, New Zealand, Australia, Japan, Bangladesh, India, Sri Lanka, United Arab Emirates, Russia, South Africa, Latvia, Sweden, Hungary, Germany, United Kingdom, United States, Mexico, and Colombia. 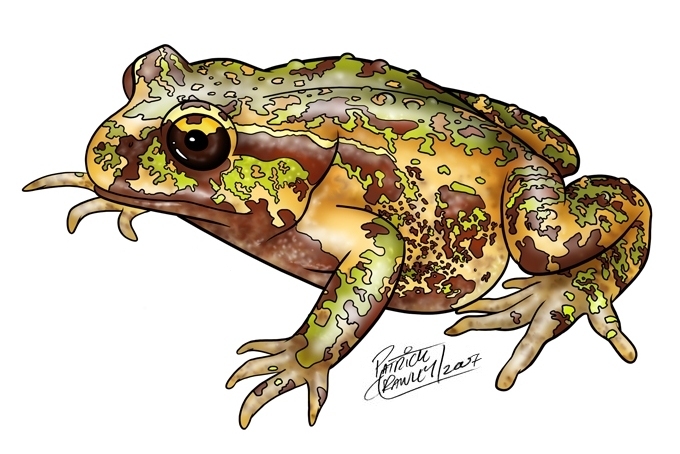 Amphibians are often called “the canaries in the coal mine,” and when hundreds of species are in decline it serves as a global warning to other species. Amphibian Ark, part of the Global Conservation Network, a 501(c)3 organization, develops, promotes, and guides short-term captive management of the most threatened amphibians. Amphibian Ark’s work makes possible the long-term survival of species for which adequate protection in the wild is not currently possible. – Sir David Attenborough, whose “Life in Cold Blood” television series on amphibians and reptiles will debut in the spring, last week attended the unveiling of a frog sculpture at the London Zoo to help usher in the special year. – Jeff Corwin, co-host of CNN’s “Planet in Peril” specials and host of ”The Jeff Corwin Experience” on Animal Planet, has taped PSAs. – Earlier this month the Clorox Company (NYSE: CLX) became the first corporate sponsor of Amphibian Ark. – The U.S.-based National Association of Biology Teachers announced a partnership with Amphibian Ark that will more deeply engage 6,000 teachers in the cause. The U.N. conference on climate change in Bali is generating a flurry of headlines that should make the biodiversity camp jealous. It’s a boisterous, argumentative, messy, emotional cacaphony — but from a satellite view, we can take heart that the crisis is being discussed, and progress being made. (The Convention on Biological Diversity Web site has a news page where you can track stories from the conference.) According to Yvo de Boer, executive secretary of the conference: “The outcome of this conference will, to a degree, determine whether Bali — and other vulnerable places — are destined to become a lost paradise, or not. If the outcome of this conference keeps pace with the many positive political signals of the past year, we are on a good road to preventing a lost paradise.” Another threatened paradise discussed at the conference is the Amazon forest. The WWF announced that 60 percent of the Amazon could be lost by 2030 because of global warming and deforestation. Reading all of the stories coming from Bali, and reading much less about the dire plight of animal life, I was reminded of a Jack Nicholson line in the movie, “As Good As It Gets.” Jack’s character is pleading with a friend to help him think through a personal crisis, and when the friend’s advice isn’t helpful, Jack bellows: “I’m drowning here, and you’re describing the water!” (And what about the Elvis verse, “A little less talk, a little more action”?) Imagine either line being croaked by a frog, the last in a species, covered in chytrid somewhere in South America, that somehow was able to read the news out of Bali. The irony is this: Climate change is heating up earth’s sixth major extinction event, but we can’t get enough people focused on the biodiversity crisis because they’re concentrating on climate change. It’s not a complaint. Just the situation we’re in. Check out Jeff Corwin’s video thank you to the National Association of Biology Teachers for their new partnership with Amphibian Ark. It’s being shown at the NABT’s conference in Atlanta tonight. I remember watching another video of Jeff on YouTube in which he explained his roots in education, having studied at Bridgewater State College, the first teachers college in the U.S. … that his best friend is a teacher … and that he considers it the most important job in the world. So Jeff Corwin talking to teachers about the amphibian crisis is a natural fit. The frogs have a terrific ally in Jeff Corwin (CNN Planet in Peril with Anderson Cooper, The Jeff Corwin Experience on Animal Planet).